Tollymore National Outdoor Centre has celebrated 50 years of adventure, providing skills and leadership training to people from across Ireland and beyond. Well known comedian Ed Byrne swapped punchlines for paddling last weekend as he took part in celebrations to mark Tollymore National Outdoor Centre’s 50th anniversary. “Tollymore National Outdoor Centre, which is owned and operated by Sport Northern Ireland, is located at the foot of the Mourne Mountains. The Centre has been providing skills and leadership training in paddle sports, orienteering, mountaineering and rockclimbing for half a century. Over the course of the weekend, keen outdoor enthusiast Ed experienced a sample of what the Centre offers – sea-kayaking from the picturesque Strangford harbour to Kilclief Castle on Friday and striding across the majestic Mourne peaks Slieve Donard and Commedagh on Saturday. Saturday evening saw a gala celebration in Tollymore National Outdoor Centre, providing an opportunity for past ‘graduates’ of the Centre – from governing bodies of sport, local community and voluntary organisations such as Mourne Mountain Rescue and the National Trust and a host of local activity providers – to renew old acquaintances and reflect on the cumulative impact of 50 years of adventure, skills and leadership development through the Centre. The evening was hosted by Ed Byrne, who regaled and entertained the audience of invited guests, with contributions from George Lucas (Sport NI Chairperson), Cllr Mark Murnin (Chairman, Newry, Mourne & Down District Council) and Lord Roden, (Special Guest) who held those present spellbound with his tales of growing up in Tollymore 50 years ago. Looking forward, Caris McKnight, a student on TNOC’s Instructor Development Programme spoke passionately about her hopes for the future and a career in outdoor adventure activity. George Lucas, Sport Northern Ireland Chair said ‘Tollymore National Outdoor Centre is undoubtedly the best and most iconic national outdoor facility in Ireland. Over the last 50 years it has held nurtured deep connections with people, nature and communities enabling Tollymore to thrive as the only national outdoor centre on the island of Ireland. The formal element of the evening concluded with the planting of the first of fifty Mountain Ash trees donated by the Mourne Heritage Trust. Sport NI Chief Executive, Antoinette McKeown, acknowledged the contribution that we can each play in the future sustainability of our planet and invited guests to plant their own 50th anniversary commemorative Tollymore acorn. 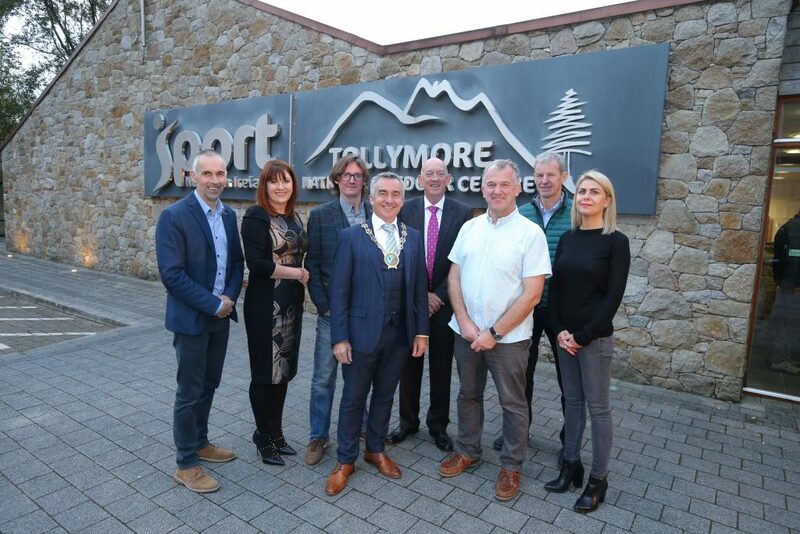 Tollymore focuses on the development of leadership and skills across a range of adventure activities skills and in outdoor activities, to drive increased participation and improved performance in sport and physical recreation. Programmes are delivered by dedicated, experienced and qualified staff who share a commitment to offer a world class learning experience to everyone that comes through the doors.